Steady Mobbin': Best I Love Horses? I Love Horses!! 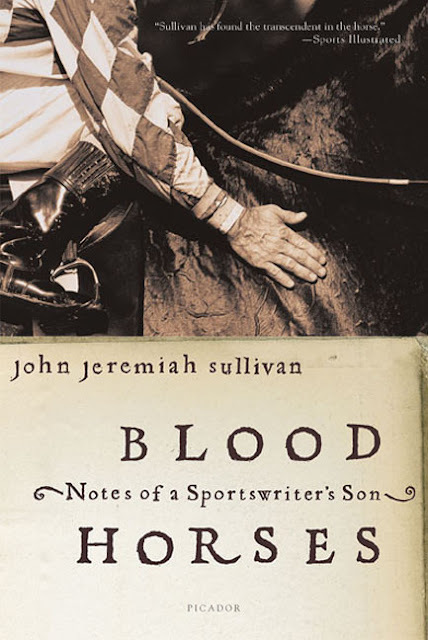 Because I really dig John Jeremiah Sullivan (right now I realize I might not have ever blogged about his essay collection Pulphead), I read his first book. It's called Blood Horses and it's about horse racing (I link to Amazon so you can learn about it, but hey, buy it from a real store? Even if it's a Barnes and Noble. Those are going away, too). It also tells the history of horses. And is a lot about Sullivan's relationship with his father. At first I figured I'd read the book because I'm down with Sullivan but wasn't so crazy to be learning about horses. But predictably, just like Infinite Jest made me love tennis, Blood Horses has made me love horses. I'd recommend this book to anyone who likes learning and likes things that are well-written, but I leant it to my Grandma (a former Rodeo Queen, for real) because she already loves horses. This would be a good time for me to throw in something I learned about horses from the book. But I'm first-thing in the morning blogging right now. My brain can't think of anything. Plus, Grandma has my copy of the book. But let me just say: Boy, horses have had it rough. And they're so obedient. I absolutely don't want to give away the ending, but this nonfiction book has one of the best endings I've ever ever read. Another similarity to Infinite Jest, I guess, up until the second it ends you're not sure how it's going to end (like, literally, you wonder if the book could actually stop) and then you get to the end and say "Perfect." Also, I read this book while I had no internet access in Utah. But it made me want to watch Secretariat YouTubes so bad. You'll see!